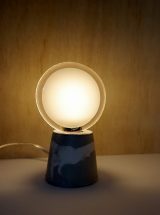 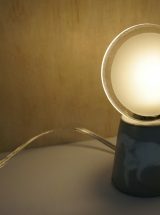 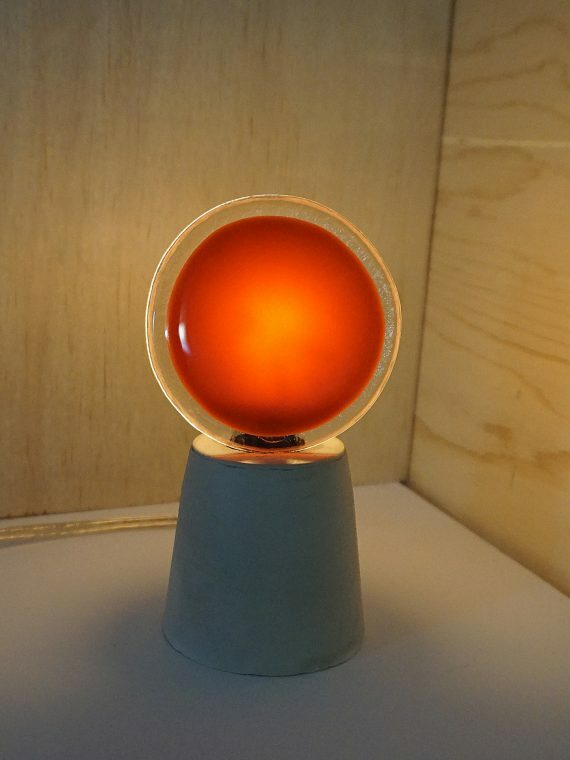 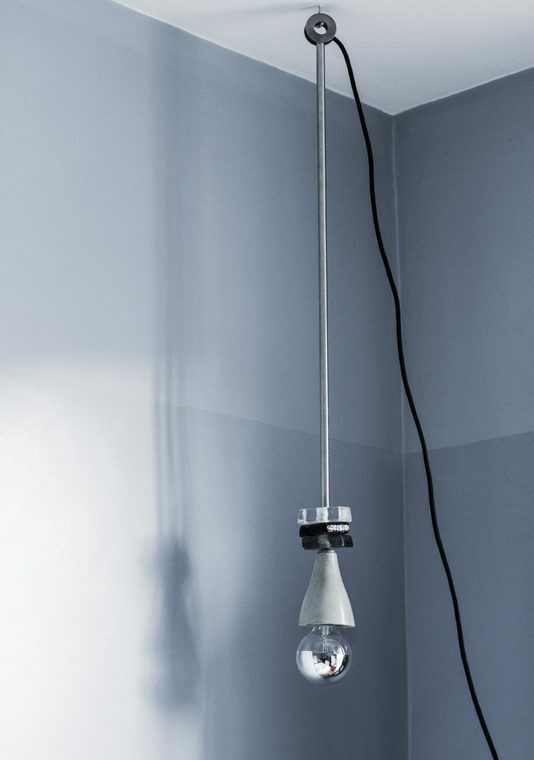 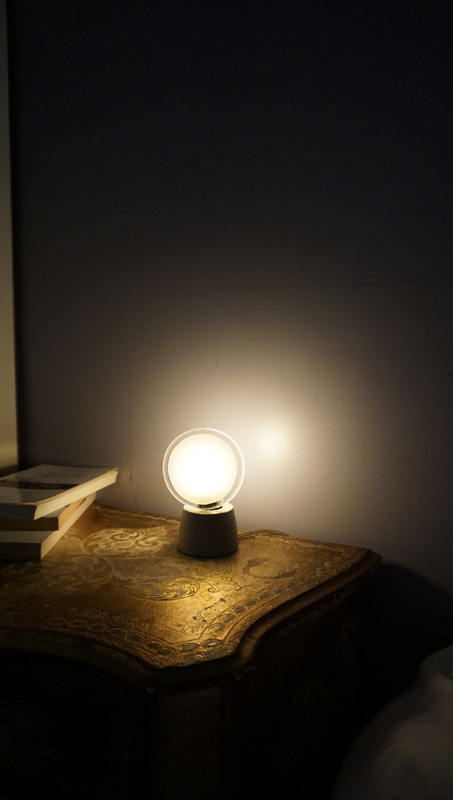 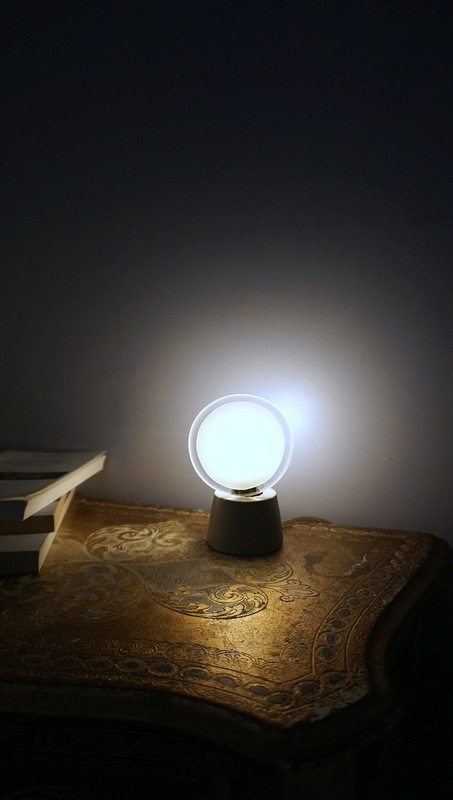 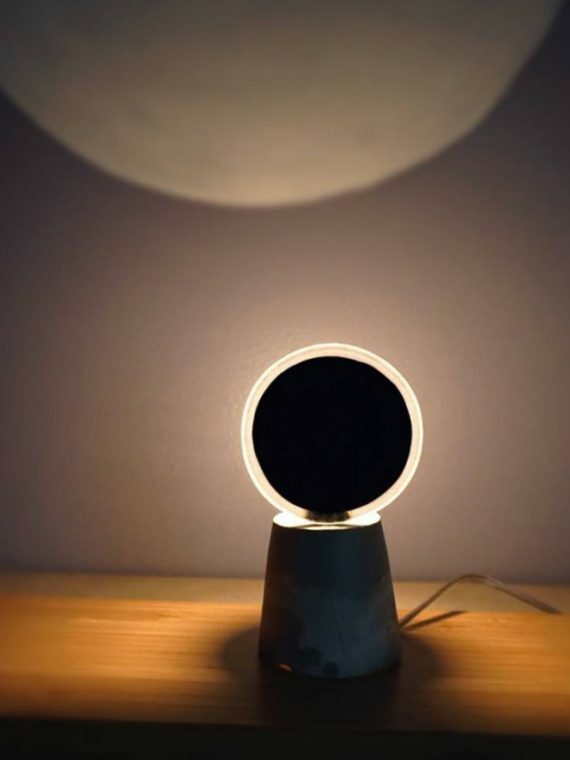 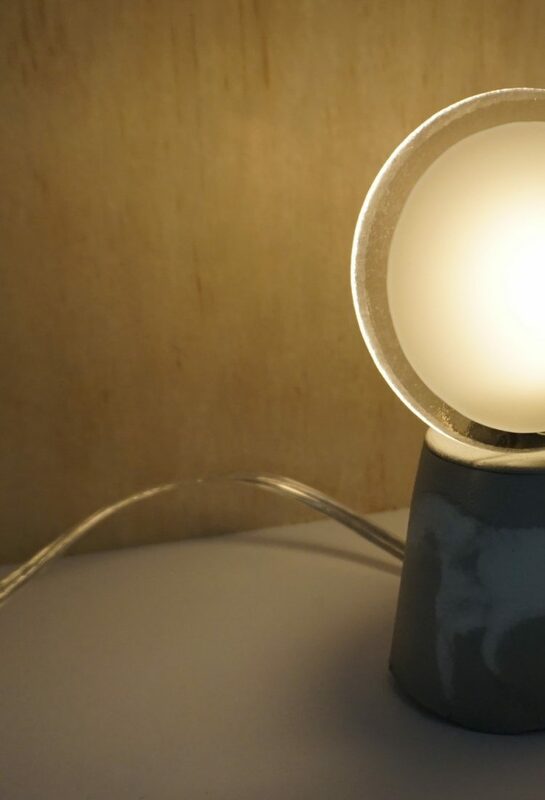 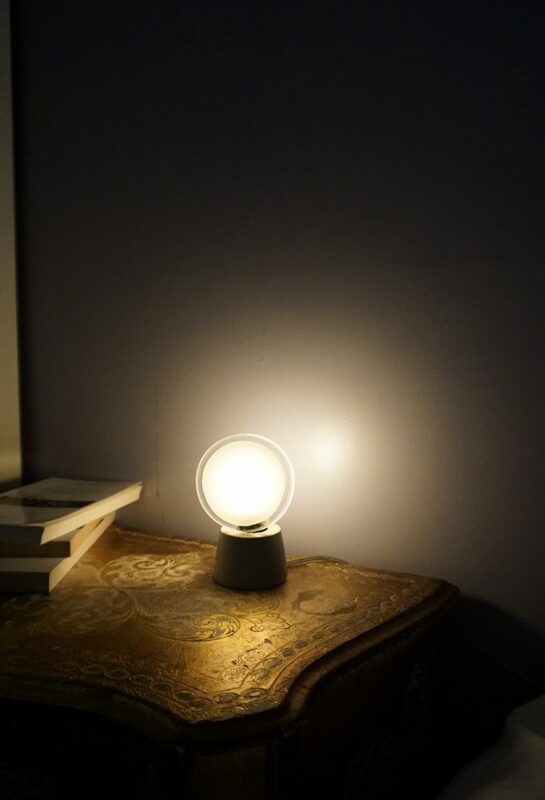 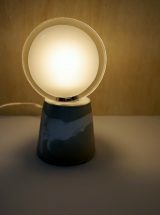 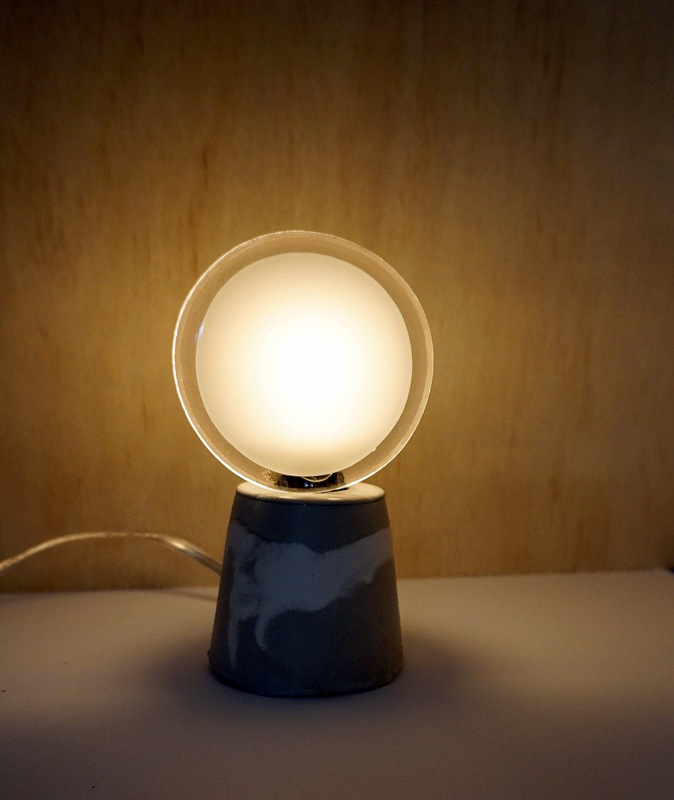 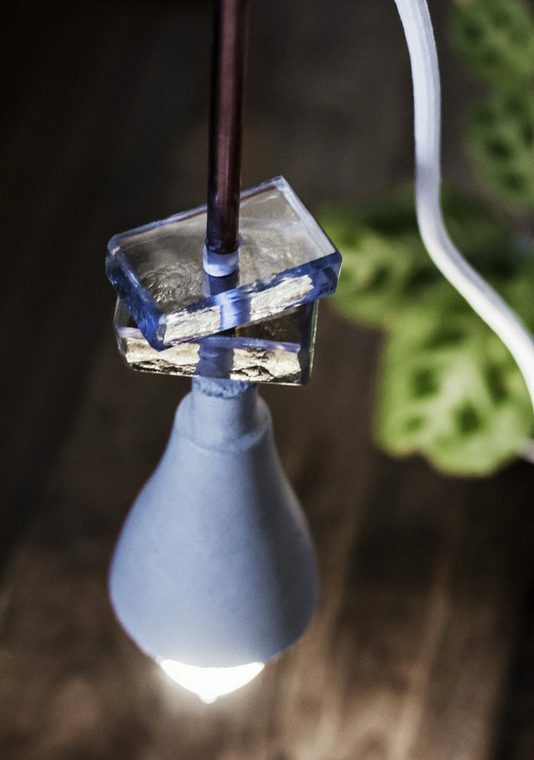 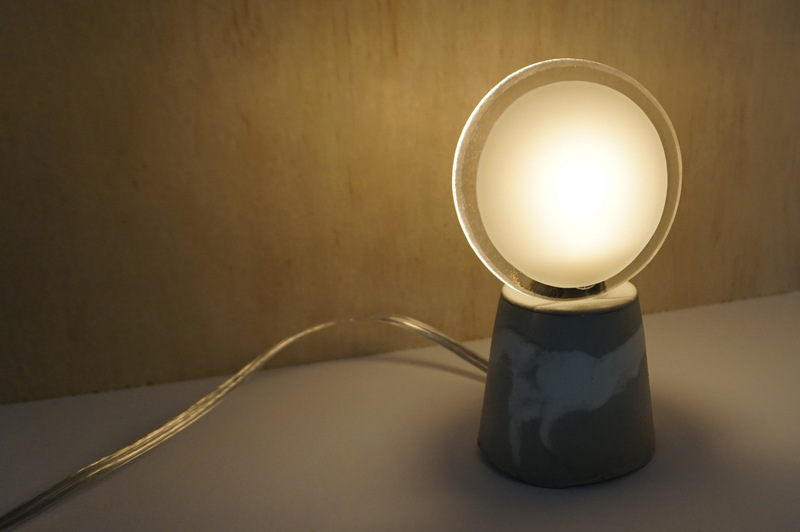 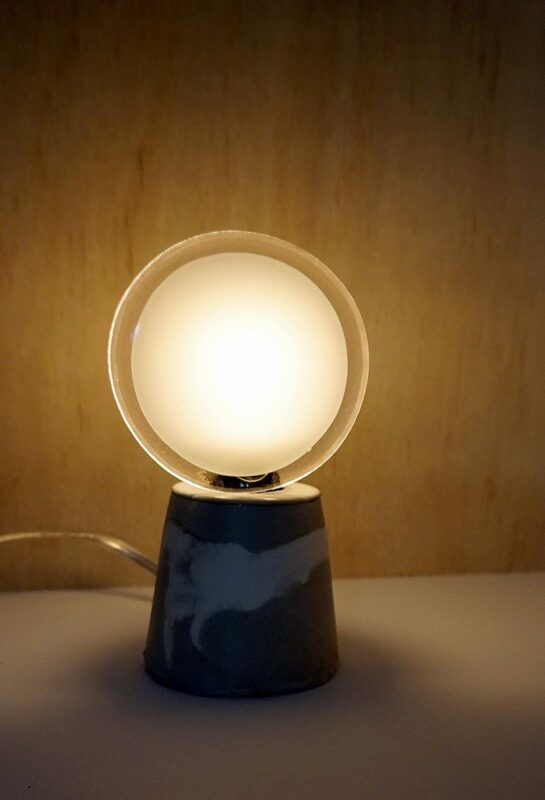 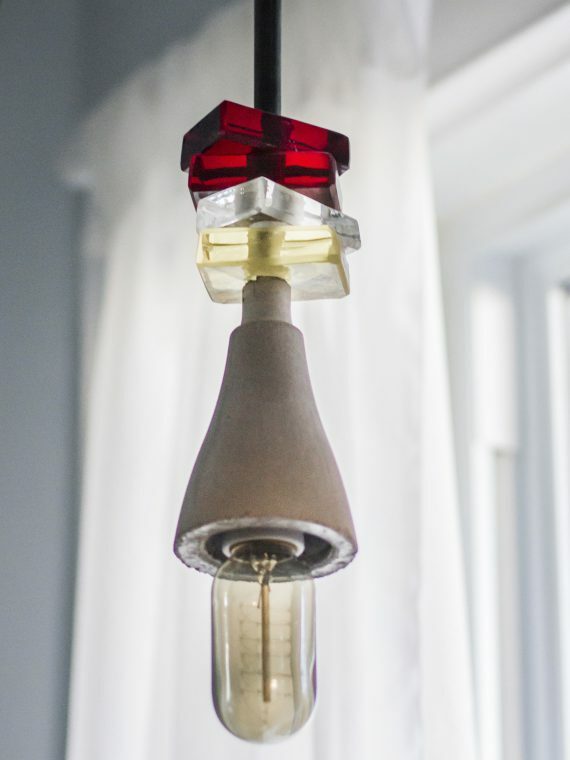 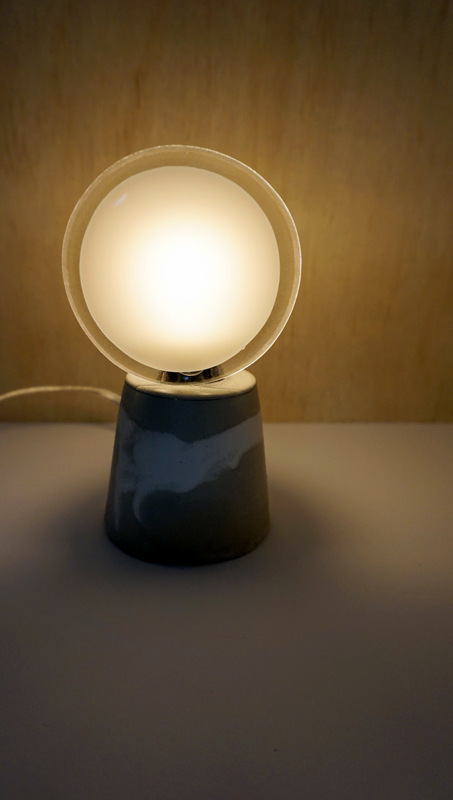 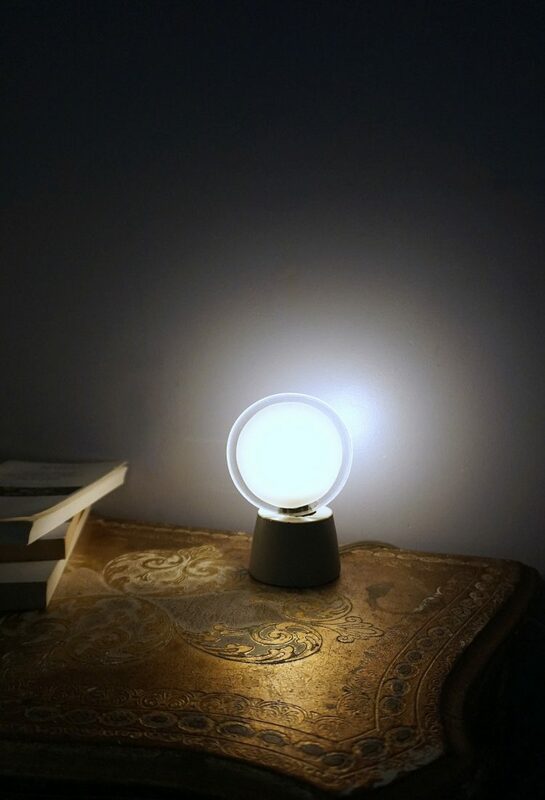 A pretty little lamp, a night light like your own little full moon! 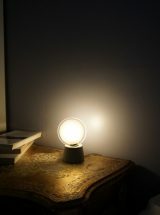 Creates a beautiful white glow for any room! 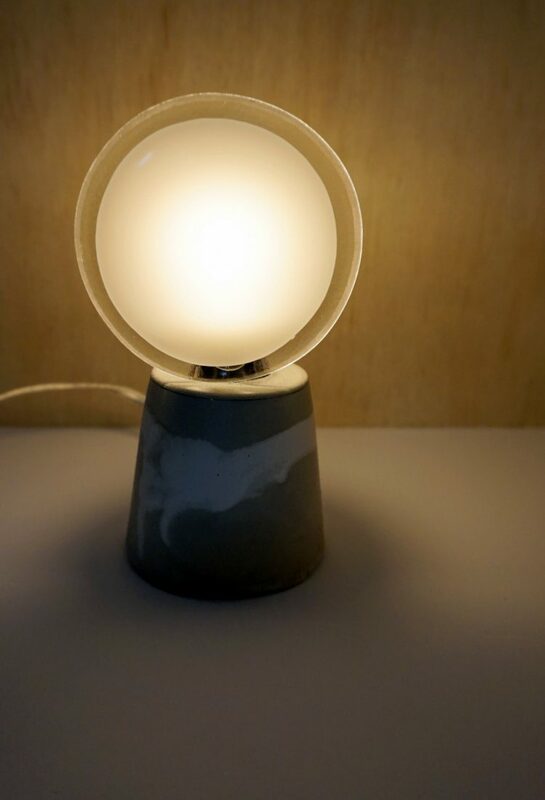 Calming and dreamy! 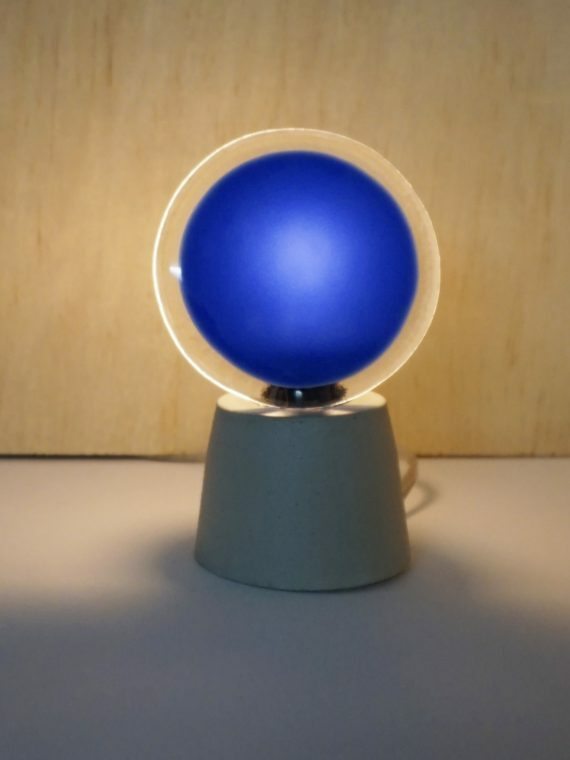 A fused glass circle made of white and clear glass of 3 inches diameter.